YETI's ice packs are more expensive. We checked. When an American brand that’s been making camping gear for almost 120 years has a sale, we pay attention. 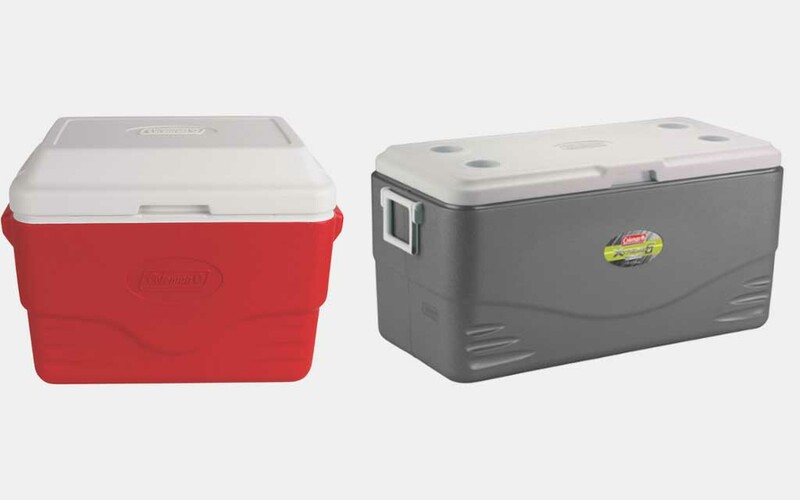 And Coleman is currently posting big discounts on all its hard-sided performance coolers, with a couple models going for as low as $16, and one 82-qt. model selling for 50% off. We understand the concept of a $16 cooler doesn’t sound very promising. You get what you pay for, and we’re not going to say that a $200 YETI isn’t superior in every way. But it’s not like you’re shopping AmazonBasics. Coleman constructs everything from steel-belted coolers to six-wheeled coolers, and they line the interiors with ThermOzone insulation that will keep the cold in for up to three days, even in temps up to 90°F. In other words, your BBQ or camping beers are going to be just fine, and you can save a LOT of dough in the process.